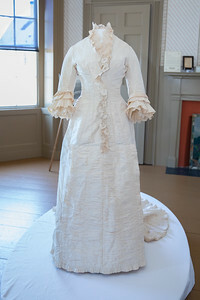 Wedding dress from our collection that has recently been conserved. 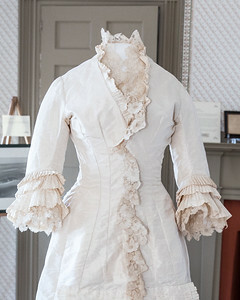 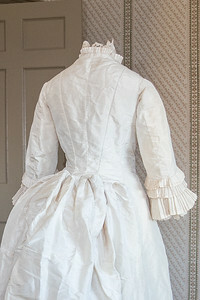 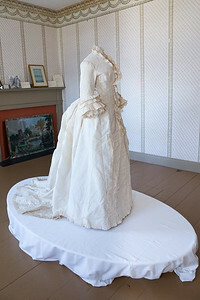 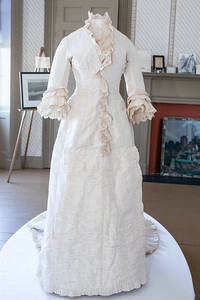 It was worn in 1880 by Alice F. Walker when she married Edward Watson of Clark’s Island. 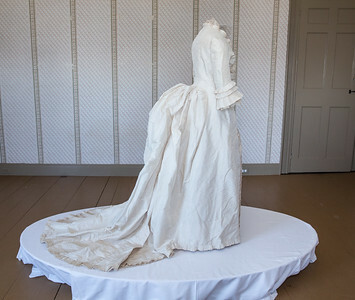 The dress and other wedding-related objects will be on display through August 31 during regular museum hours.